If you are planning a weekend away, then it is so essential that you make sure that you have packed everything that you could possibly need. Weekend breaks are designed to offer relaxation and fun. Unfortunately, if you forget some of the things that you are going to need then there is a high chance that your time away will be ruined. In order to help you prepare for your short break, we have put together a list of some of the essential items that you should pack. Take a look through our list below to see if there is anything that you have forgotten. It may even give you some ideas for things that you haven’t even thought about. This is where most people slip up when packing for a weekend away. If you haven’t made plans for what you’re actually going to be doing whilst you are away for a couple of days, then it is highly likely that you are going to end up packing more clothes than you actually need. This is just going to result in unnecessary weight to your luggage and it will take up space that you need. Make sure that you only pack a couple of outfits and some warm clothes. This will be more than enough for your short break. Whilst it might be easy to remember to bring medication with you if you take it on a daily basis, it is likely that there will be some medicines that you haven’t thought about. The last thing that you want is to be trying to enjoy your time away, only to be blighted by a migraine or a stomach ache. If you want to make sure that you are covered for every eventuality, then make sure you pack over the counter pain killers, indigestion relief and perhaps some forehead strips. This will give you the basic relief for the most common symptoms that are likely to affect you whilst you are away. 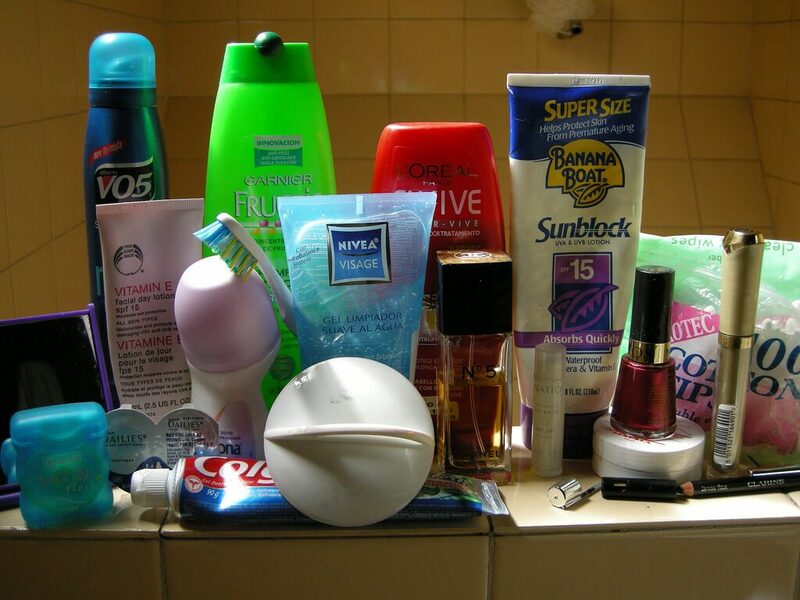 Rather than buying your usual toiletries or bringing the ones that you have at home, it is a much better idea to purchase travel versions. By doing this, you can save yourself a huge amount of space in your luggage. If you are struggling to find travel versions of your usual products in your local pharmacy or supermarket then take a look online because you will almost certainly find them on there. Whether you are going to be taking pictures on your phone or on your camera, it is a really good idea to make sure that you have a spare memory card just in case you fill your current one with pictures and videos. The last thing that you want is to miss capturing precious memories because you haven’t got enough space on your memory card. Fortunately, you can get some really affordable Micro SD cards online that offer significant amounts of storage. It is surprising just how many people will forget to pack some comfortable footwear for their weekend away. The problem is that if it is an area that you have not visited before then you might want to explore the local nature. If you don’t have suitable footwear, then you are probably going to find walking around quite uncomfortable which will ruin your experience. A comfortable pair of trainers or walking boots is essential. This is really all you need for a short weekend away. By packing these things you can not only make sure that you are covered for all things, but also that your luggage remains lightweight and easy to transport.